Many people cringe at the utterance of the word “probate,” and if someone finds she’s been named the executor of an estate, her first instinct might be to turn and run. Although it is an exacting process that requires a lot of detail work, the basic procedure involves clear-cut steps in New Jersey. An average, smaller estate might not be too problematical. Locate at least one of the witnesses who signed the deceased’s will, unless the will has an affidavit attached to the back on which the deceased certified that it is his last will and testament. This affidavit means that the will is self-proved, so you don't need a witness to testify to its authenticity. Take the will to the surrogate’s court in the county where the deceased was living at the time she died. If the will is not self-proved, take one of its witnesses with you. Turn the will over to the surrogate court clerk and complete an application for probate. If the will isn’t self-proved, the clerk will take a statement from the witness. She’ll swear you in as executor and give you several surrogate’s certificates, which are legal proof that you’re allowed to act on behalf of the state. You might need to produce them for various institutions during the settlement process. Who Contacts the IRS When Someone Dies? Are Savings Bonds Held Jointly Included in Estate Taxes? Spend some time in the deceased’s home, or with his surviving spouse, to gather up all the paperwork you can find regarding his assets and debts. Move the money in any bank or investment accounts in his sole name into an account in the name of the estate. 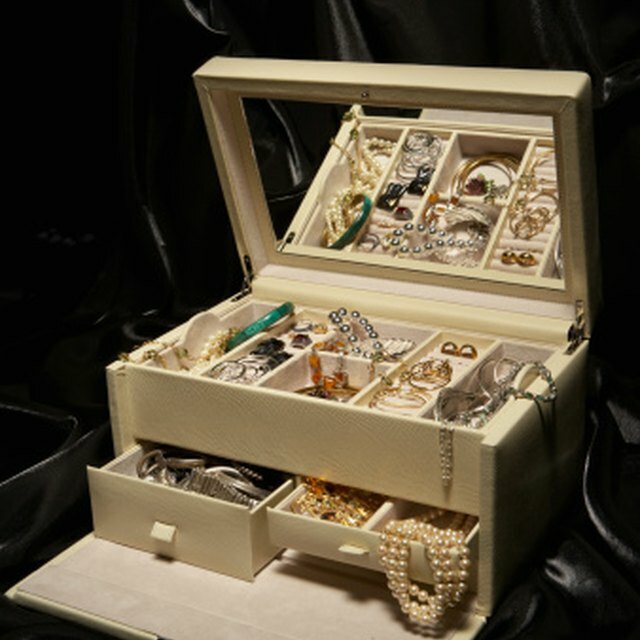 Take possession of all valuable assets, such as jewelry, and place them in a safe deposit box in the name of the estate. If no one is living in his home, lock and secure it. If he had an automobile and his surviving spouse is not using it, move it to a secure garage. Prepare a list of all the deceased's assets and submit it to the court. You'll have to include estimated values, so for some larger items, such as real estate or artwork, it might be necessary to have appraisals done. Send notices to all the creditors you’ve been able to identify through the deceased’s personal papers. You must advise them of her death and let them know they have nine months to make a claim against the estate for payment. Ascertain what taxes are due on behalf of the deceased and his estate. File a personal tax return for the deceased for the income he earned in the current tax year up until the date of his death. An estate income tax return must also be prepared if his estate takes in any money while you’re settling it, such as interest from investments. If the estate has a value of more than $5 million after you add up the value of all the assets and deduct all outstanding debts and costs of settling the estate, you must file a federal estate tax return. If the value is more than $675,000, then you must also file a New Jersey estate tax return. Pay any creditor claims as they come in, and pay any taxes due from the estate’s bank account. You have nine months from the date of death to pay federal estate taxes if the estate owes any. It might be necessary to sell and liquidate assets if there’s not enough money in the account to pay everything due. Prepare a final estate accounting, itemizing everything you paid, the location of all remaining assets and the balance in the estate’s bank account. Submit it to the court. Give the will’s beneficiaries their gifts and bequests after the court approves your final accounting, and your job is done.